Our Cannabis Aromatherapy Massage Oil is made by infusing wild-crafted cannabis into organic extra virgin olive oil. A pure organic carrier oil, such as coconut and grape seed, is incorporated along with therapeutic grade essential oils for pure physical and spiritual nourishment. Lavandin essential oil known for its amazing penetrating qualities is used to help ease away deep muscular conditions, aches, and pains. It is also known to relax both the mind and body as well as relieving a variety of irritating skin conditions. Other muscle relaxing and pain relieving oils included in this mixture are corn mint, eucalyptus, cypress and fir oils. These oils speed up healing and can relieve migraines while also acting as natural decongestants; perfect for relieving stress as well as allergies during the changing of the seasons. Spruce oil opens the pineal gland (third eye chakra). This assists in releasing emotional blocks and is the perfect way to balance your mind, body, and soul. 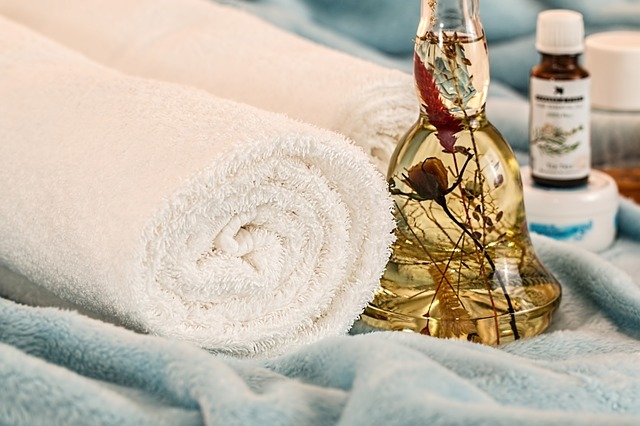 A therapeutic massage using Cannabis Aromatherapy Massage Oil is known to be highly beneficial for many physical conditions including chronic pain, arthritis, sports and overuse injuries, neuropathy, and much more. It assists in relaxing the mind while relieving tensions held in the body.